By Bill Hooper TASC Press Officer, Photo, Simon Bryant/Iktisphoto. Mobile: 07990592945. There is a strong Redruth representation in the Cornwall squad picked for the opening Bill Beaumont Cup match at Cinderford RFC against Gloucestershire this Saturday kick-off 3 p.m. The Redruth half back pairing of Paul Thirlby and Greg Goodfellow will hope to dictate play, whilst the formidable Redruth front row of Darren Jacques, Richard Brown and Craig Williams will look to get the nudge up front. 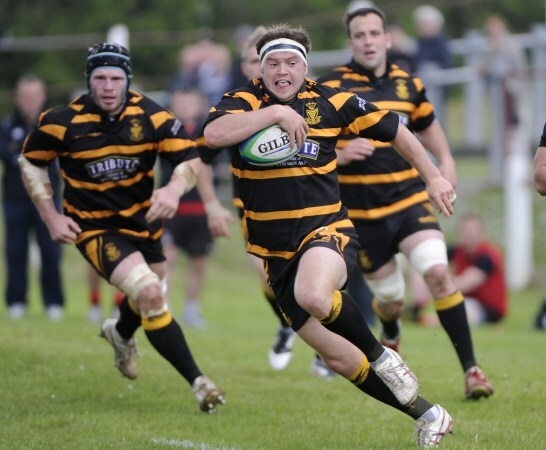 Damian Cook partners Cornwall’s skipper Ben Hilton (Cornish All Blacks) in the boiler house, whilst Redruth club captain Chris Fuca will look to bring his outstanding club form to the county side. On the wing the flying Tom Notman, who has been in some scintillating form of late, will look to finish with style. The Cornish All Blacks also have a good representation, despite centre Lewis Paterson (unavailable) and flanker Mike Rawlings (injury) missing. Apart from skipper Hilton, Tom Rawlings will be his usual busy self in the back row. Sam Hocking, a former Cornwall Player of the Year, comes in at No.8 and brings a wealth of experience. The former Plymouth Albion player will be looking to make a big impact. Out in the backs All Blacks Jake Murphy, Richard Bright and Neilson Webber are all proven finishers. Steve Johns formerly of Plymouth Albion but now with National League 1 side Coventry will form the mid-field partnership with Webber. The bench looks very strong with Ben Priddey back from playing for the Royal Navy last weekend against the Army at Twickenham, man-of-the-match from the Tamar Cup Martin Rice, All Black BJ Chapman, Albion’s Sam Matavesi, but a Cherry and White at heart, St Austell’s Matt Shepherd, another hero from Cornwall’s Tamar Cup win against Devon, and the former England Counties pair of Josh Lord and Lewis Vinnicombe. Cornwall: Jake Murphy; Richard Bright (both Cornish All Blacks), Steve Johns (Coventry), Neilson Webber (Cornish All Blacks), Tom Notman; Paul Thirlby; Greg Goodfellow; Darren Jacques, Richard Brown, Craig Williams, Damian Cook (all Redruth), Ben Hilton, Capt, (Cornish All Blacks), Chris Fuca (Redruth), Tom Rawlings (Cornish All Blacks), Sam Hocking (unattatched). Replacements: Ben Priddey (Redruth & Royal Navy), Martin Rice, Barry Chapman, Josh Lord (all Cornish All Blacks), Sam Matavesi (Plymouth Albion), Matt Shepherd (St Austell) and Lewis Vinnicombe (Redruth).